Decorative Light Brown interlocking scroll edging. 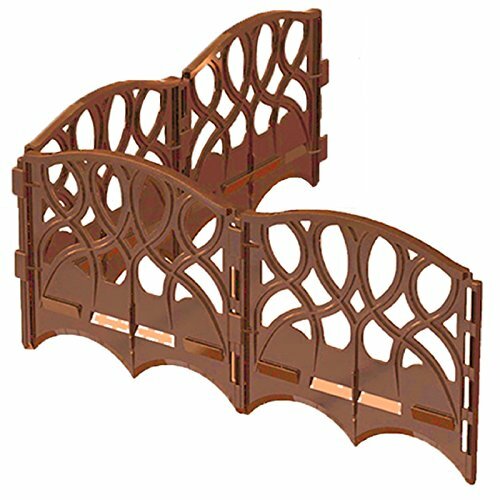 The ONLY interlocking edging in the marketplace that allows for right angles and circular/curved designs. The unique "hinge" connecting system allows creativity. 40 six inch pieces. A flat spade shovel is all that is needed for proper installation. If you have any questions about this product by Valley View, contact us by completing and submitting the form below. If you are looking for a specif part number, please include it with your message. Frame It All 300001042 Two-inch Series Composite Landscape Edging Kit, 16' x 5.5" x 2"